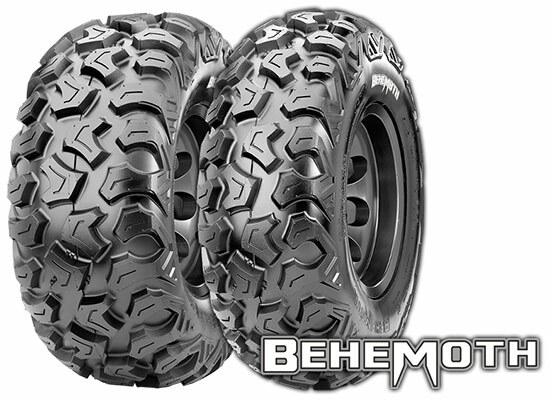 The Behemoth utility ATV tire features an aggressive tread pattern for hard-hitting grip while accelerating and massive shoulder treads for predictability in ruts. The Behemoth’s radial construction guarantees lower rolling resistance in hardpack conditions and provides confidence at high speeds on the trail or in the deep mud so that you can make it out of the backwoods. The Behemoth is 8-ply rated to handle heavy loads, and is extremely durable when you find yourself in the nastiest of conditions.